Create your own hero to suit your style. Change your hair, face, body, and more! Choose from over 1,000 items including weapons, shields, armor, and accessories. 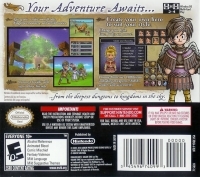 - Epic quests, undiscovered lands, dangerous monsters, and untold stories. - Connect locally with up to three friends. ...from the deepest dungeons to kingdoms in the sky. 07-24-2014 kwisatzhaderach Box Text Your Adventure Awaits... Create your own hero to suit your style. Change your hair, face, body, and more! Choose from over 1,000 items including weapons, shields, armor, and accessories. - Epic quests, undiscovered lands, dangerous monsters, and untold stories. - Connect locally with up to three friends. ...from the deepest dungeons to kingdoms in the sky. 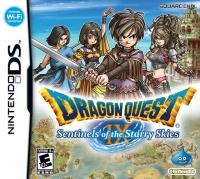 This is a list of VGCollect users who have Dragon Quest IX: Sentinels of the Starry Skies in their Collection. This is a list of VGCollect users who have Dragon Quest IX: Sentinels of the Starry Skies in their Sell List. 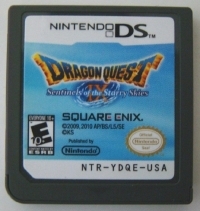 This is a list of VGCollect users who have Dragon Quest IX: Sentinels of the Starry Skies in their Wish List.